I put salad in a taco! It's fantastic, like a taco salad you can pick up and eat with your hands. No meat filling, just the lettuce you would normally add on top, all jazzed up with goodies like pumpkin seeds, corn, roasted red pepper, and for a kick, some tasty chipotle baked tofu. The whole salad comes tossed in a creamy, spicy jalapeno cilantro dressing and then gets shoved into some crispy taco shells, party platter style. You could of course build these on smaller scale if you aren't feeding more than a couple people, but I like the look of them all stacked up. You could fry up your own tortillas for truly spectacular taco shells here, but I took the easy way out and used the shells from a box. Just make sure to wake them up in the oven with a little salt first, it really makes all the difference between crispy tacos and cardboard! It all comes together as a tasty, healthy, and meat-free dinner or lunch. With the cashew dressing it's even vegan, if that's important to you. I like to think of these as a light vacation from guilty-pleasure tacos, but without sacrificing the flavor. In a bowl, mix together chiplotle flakes, oil, cumin, half the lime juice, 1 tsp salt and black pepper and whisk to combine. Cut tofu into 8 equal slices and toss coat with the marinade. Set aside in the marinade for 30 minutes. 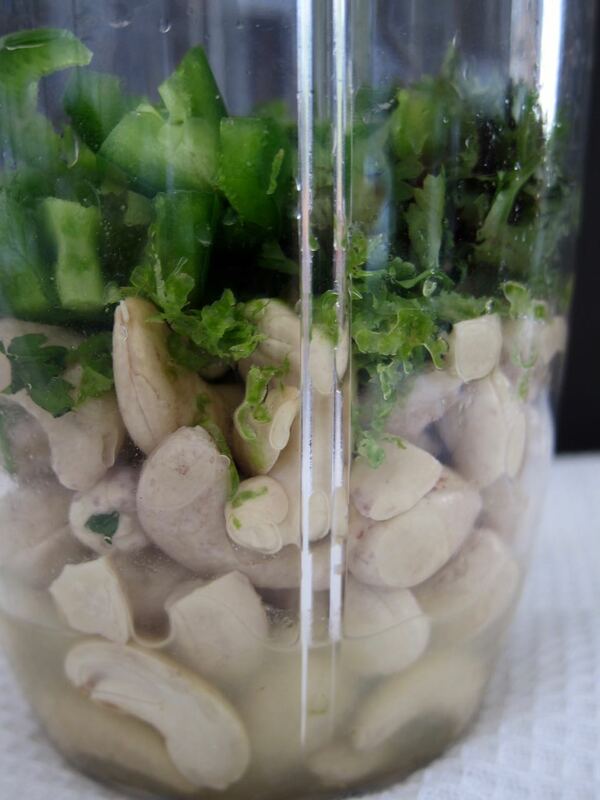 Make the dressing: in a blender, combined the softened cashews, remaining lime juice, 1/2 the jalapeno, 2 tbs cilantro, and lime zest and blend with enough water to make a smooth, creamy, pourable dressing. Taste and add salt as needed and remaining jalapeno if you want to make it spicier. Set aside. Heat oven to 375 degrees, then bake marinated tofu on a parchment lined baking sheet until browned, about 20 minutes. Let cool then cut into cubes or strips. Lay out taco shells on another parchment lined baking sheet and sprinkle insides with a little salt. Crisp in the warm oven for about 5 minutes. Meanwhile, in a large bowl, add romaine, corn, bell pepper, cilantro, tofu and pepitas and toss with a few spoonfuls of the dressing, to taste. Pile into the warmed taco shells and drizzle with more dressing and garnish with pickled jalapenos, if using.